from an Astral/Cosmological focus, to an Earth-based paradigm, in harmony with the needs of our current time. It requires no knowledge of the Qabalha, nor does it assume or call for a prior knowledge of any of the traditional literatures. allowing anyone to harness the semantics of number to the power of sounded rhythms and beyond. 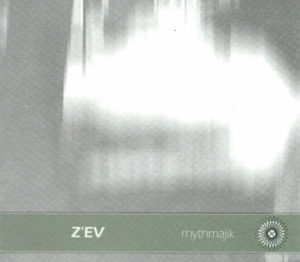 Rhythmajik is not about music but spells out the use of rhythm and sound and proportion for Trance, Healing, etc. and the desire to achieve an intentionally considerate consciousness. conception, intent and manifestation musically. “your visualization techniques have radically improved my playing and enjoyment of sound. Sad to say I have reached my 50’s before coming across your work, which I find fascinating. I am a retired classical choreographer and a magician, and to come across the power I hear and see in your work astounds me. I had given up hope of seeing or coming across anything truly remarkable that wove magic, inner connection, power, vibration, form and sound (which to me is what Kabbalah is about). It is an honour to come across your work. while there is also a belief in certain metaphysical schools that these may even extend to the subtle dimensions. to those frequencies unbound by the space-time continuum. “my impression is one of great comprehensiveness and much diligent work. “if you’re into Qabalha, drumming and magick, you’ll love this, and if you like any two of these, you’re bound to find something good. …. is perhaps the single most useful thing said about drumming and magick anywhere.